As children growing up in the 1960s, the threat of nuclear annihilation was an ever-present fact of life. As a reminder of those halcyon days, we collect souvenirs of the Cold War. 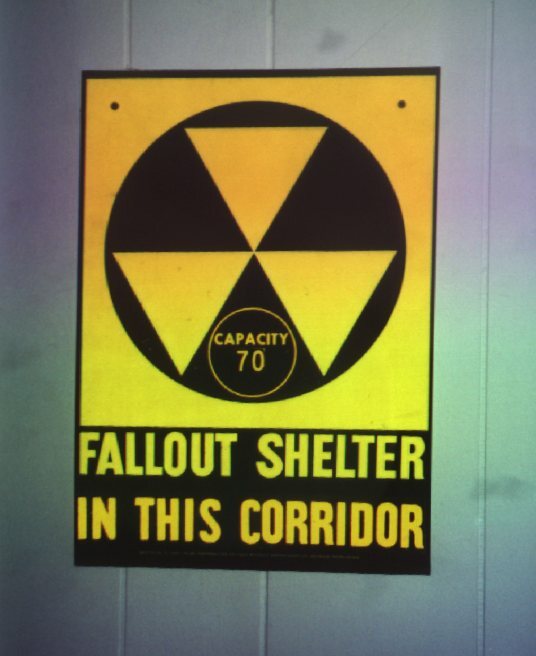 Above is the Fallout Shelter sign we have in our living room. 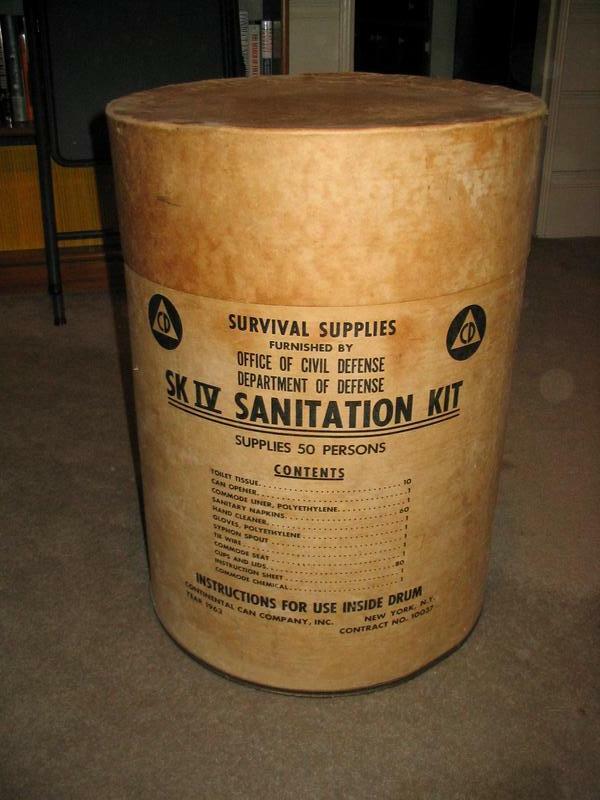 Here is our SK IV Sanitation Kit. 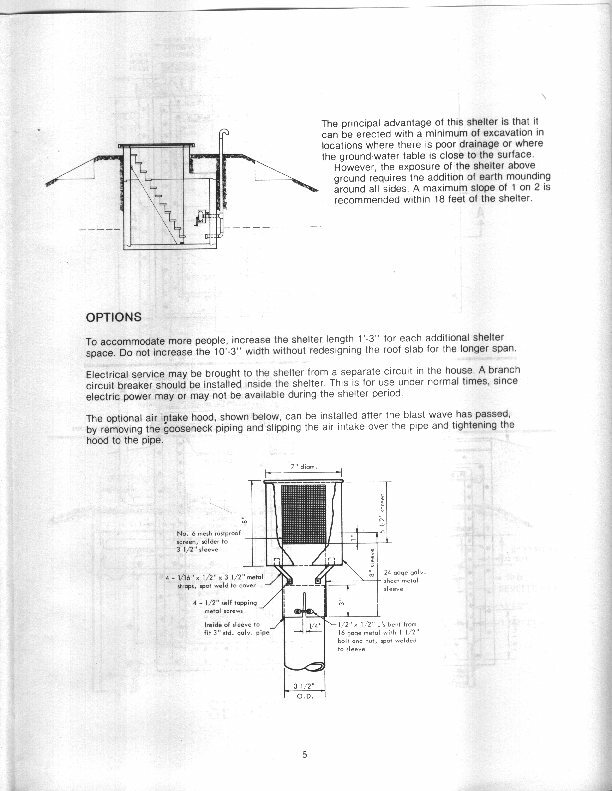 It has a plastic toilet seat that fits on top of the fiber drum to make a dandy fallout shelter latrine. 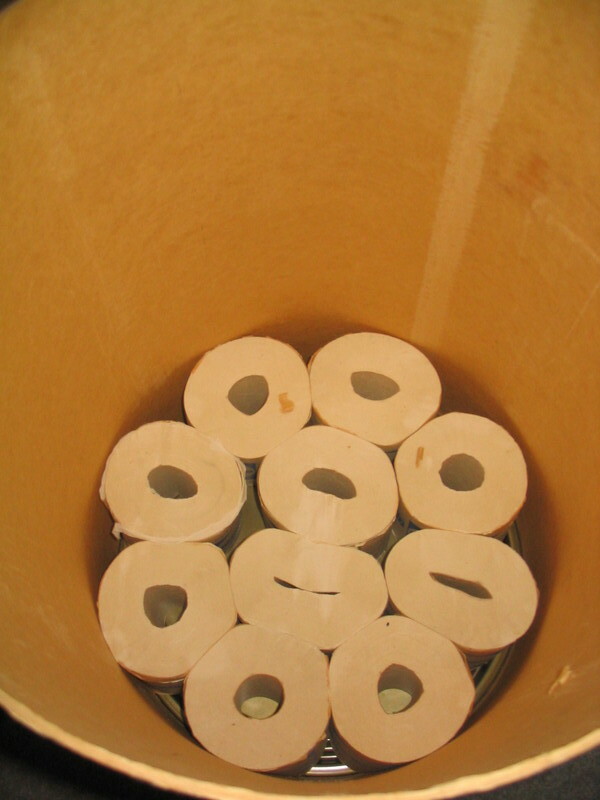 It has a plastic bag for a liner, chemicals so it won't smell too much, and many, many rolls of flimsy government-issue toilet paper. It is supposed to provide for 50 people for two weeks. 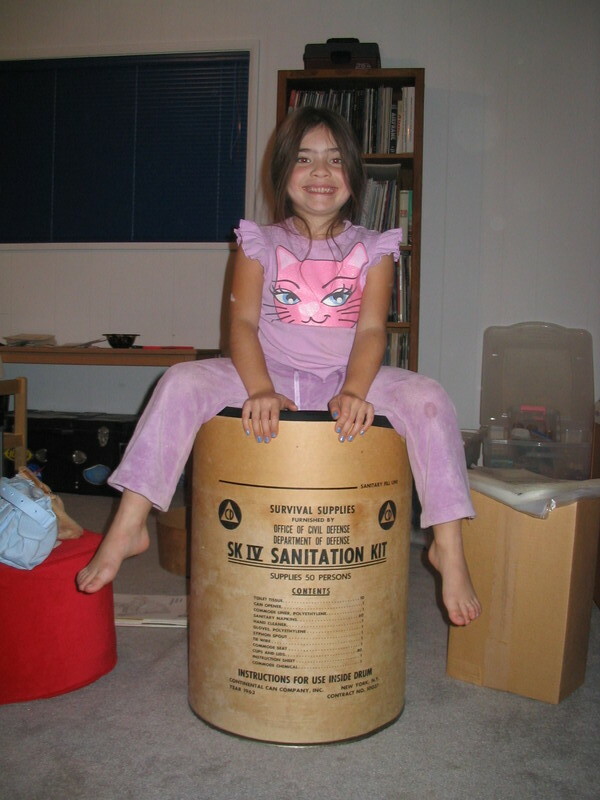 We've often wondered if they took into account that radiation poisoning causes diarrhea. In any event, we always figured that this item would be a good thing to have around for when we have The Big One on the San Andreas, and the major aqueducts into Los Angeles are broken. But we're not sure we could bring ourselves to actually use it. 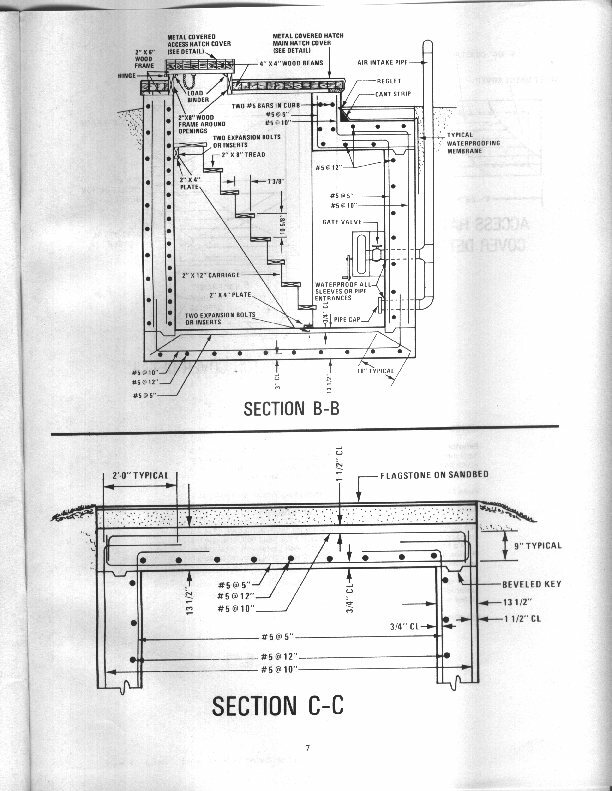 It's such a classic piece of Civil Defense memorabilia. 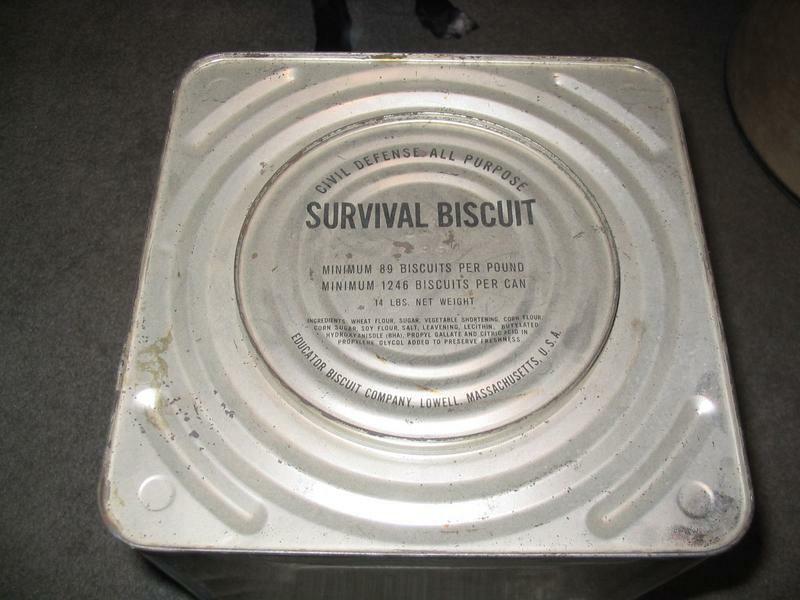 And for your dining pleasure, we have here 14 pounds of Civil Defense survival biscuits. Yum. The can says there are 89 biscuits per pound, and a minimum of 1246 in the can. And in case you're wondering, the can opener is part of the SK IV sanitation kit. 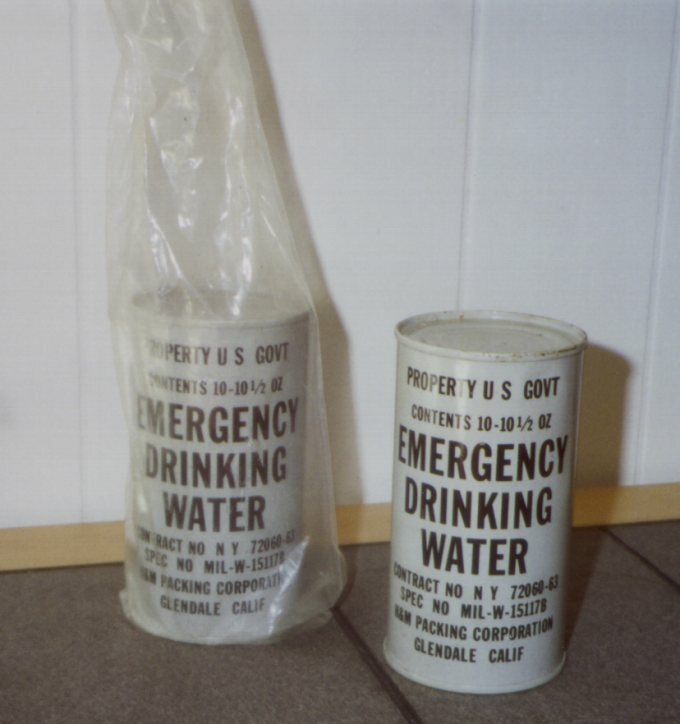 Here are some Civil Defense emergency water rations to wash those biscuits down. 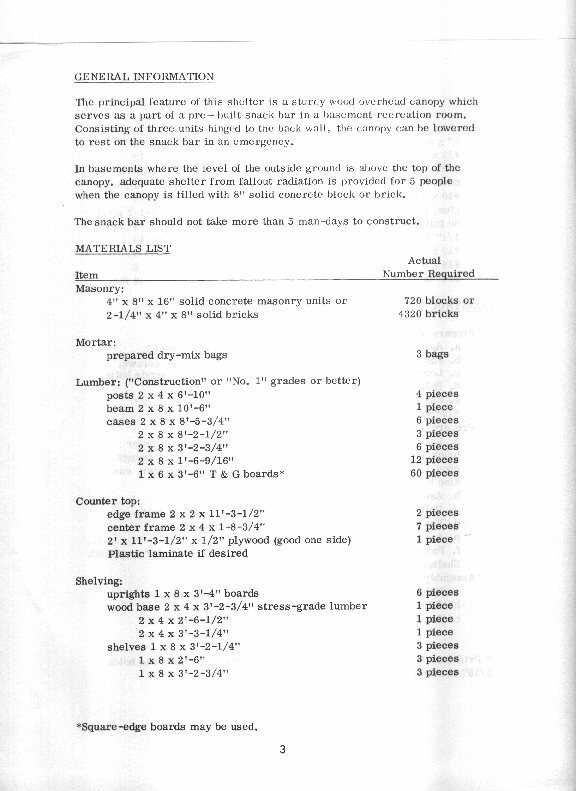 We were not aware that there was a Mil Spec for water, but apparently there is. 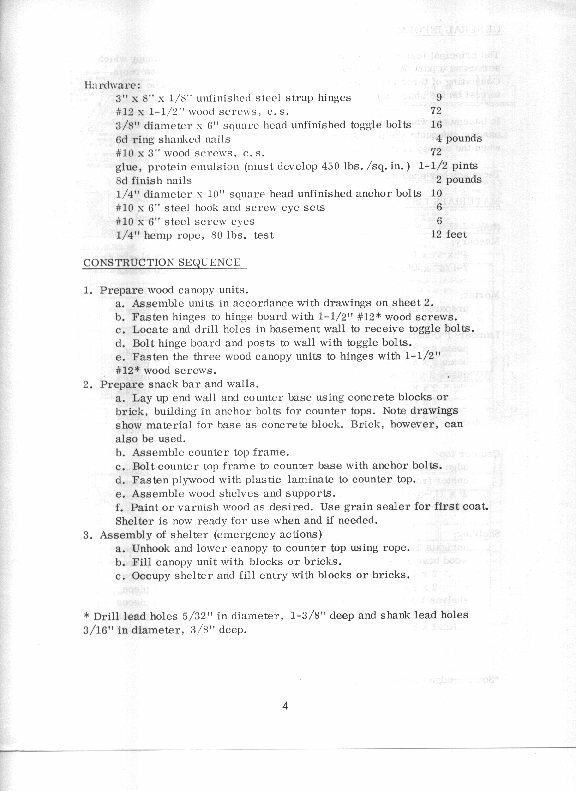 The cans reference spec MIL-W-15117B. 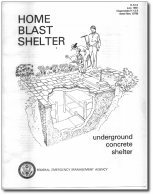 Here are some booklets about surviving the nuclear holocaust. Click on the picture to read them. 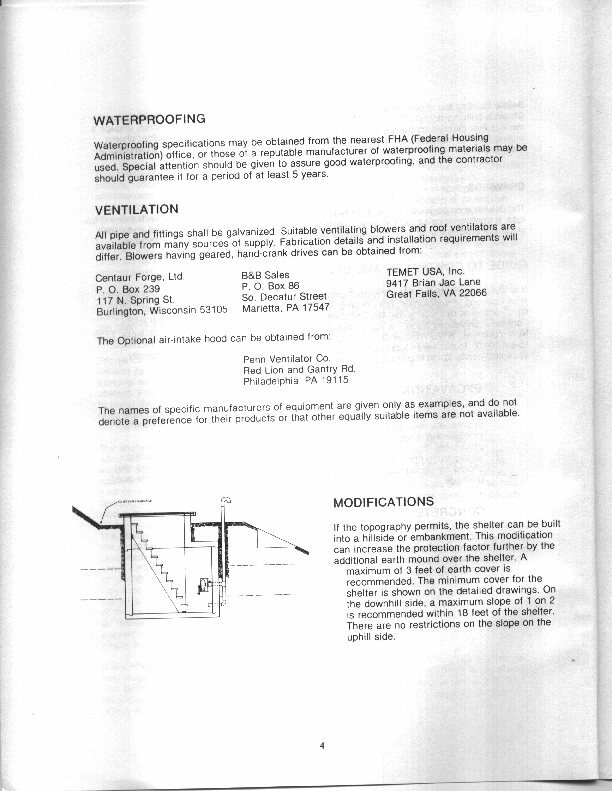 This is a booklet published in 1960. It is a set of reprints of newspaper articles from the late '50s. 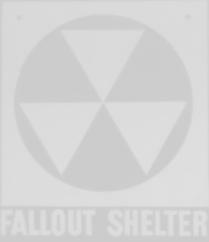 It sets out an optimistic view of how to survive a nuclear holocaust. Yup. The best bit: "Of course, even if you lived safely through the H-bomb attack... your troubles would just be beginning." 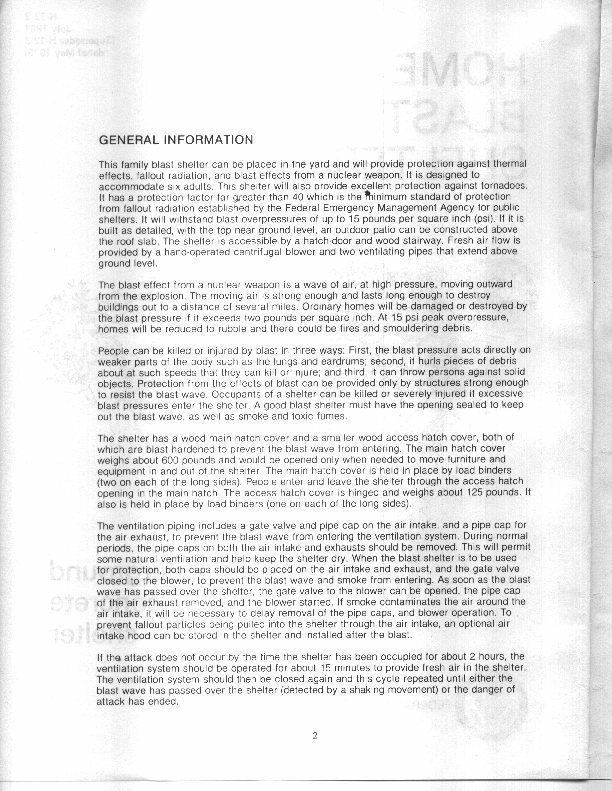 Here from 1958, we have "Facts About Fallout". I love the font on this one. 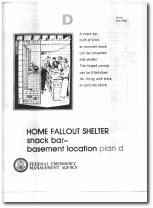 Remember, "Your family's favorite canned foods can be a morale lifter" while you're hunkered down in your shelter after getting nuked. 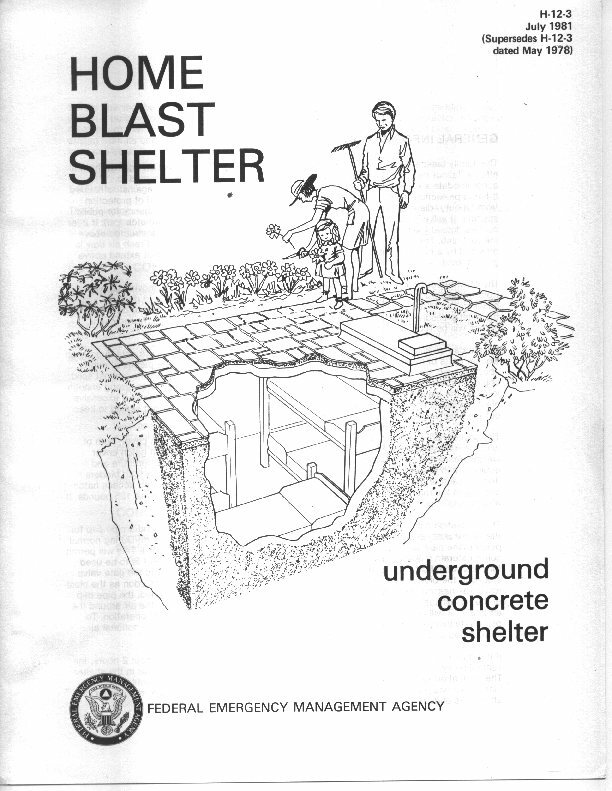 Here's a 1961 booklet on exercises you and your family can do at home to prepare for nuclear holocaust. Be the first on your block! 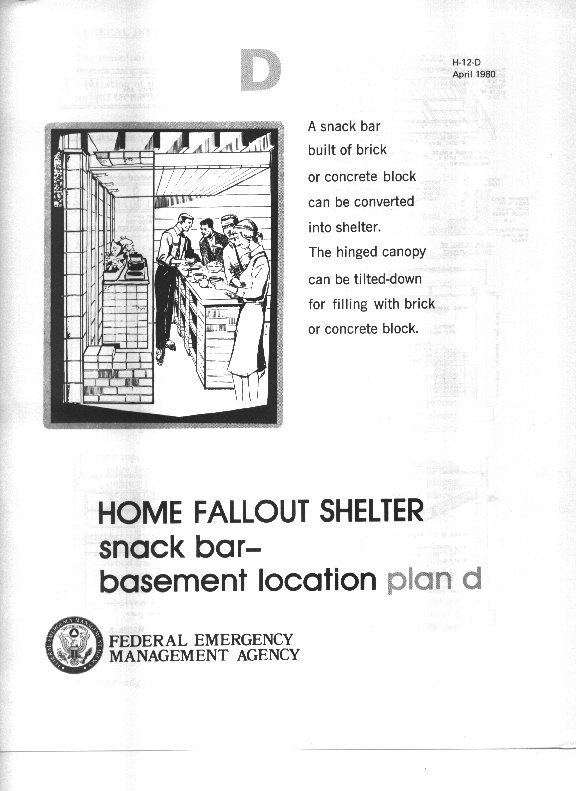 Here are plans for a basement snack bar/fallout shelter that you can build yourself. 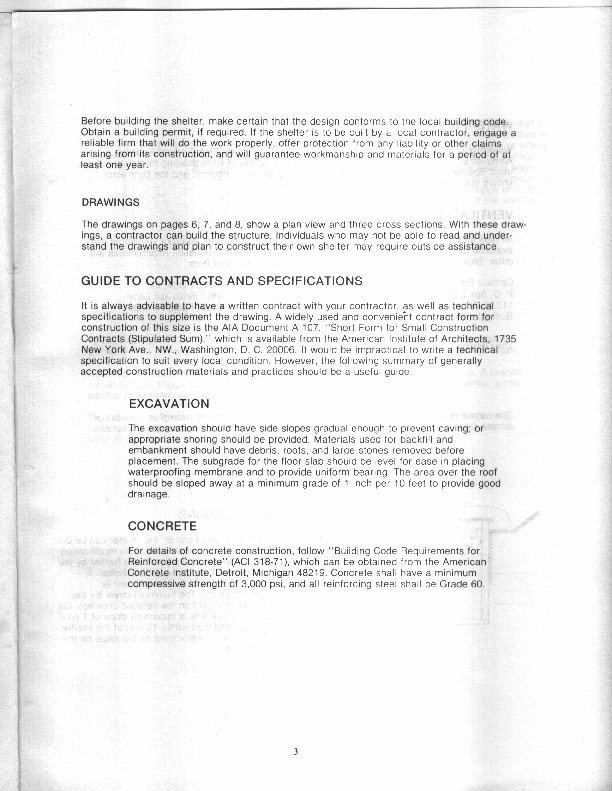 Note that in the instructions, they say that in time of crisis you can just fill it with bricks and it's ready to use. 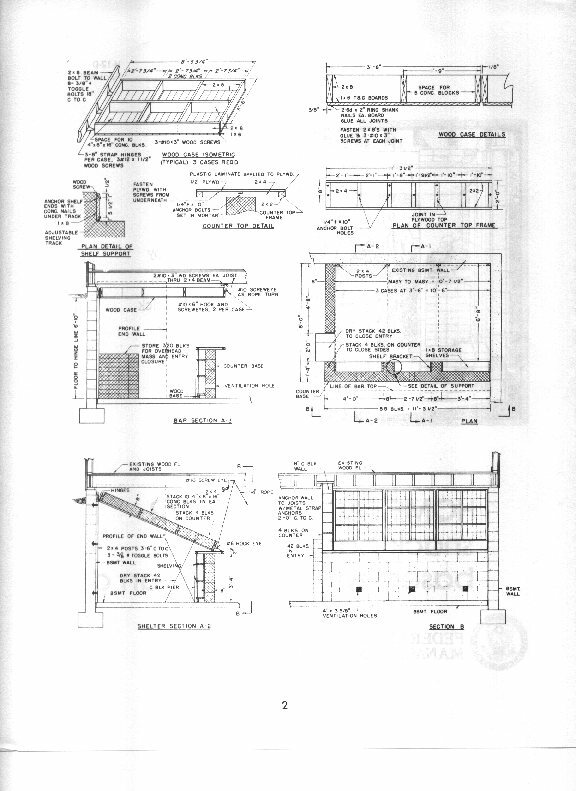 We did a quick estimate, and filling the thing would require about 3,200 pounds (1450kg) of bricks. How fast can you move this many bricks? Could you do it in the 30 minutes it takes an ICBM to reach its target? 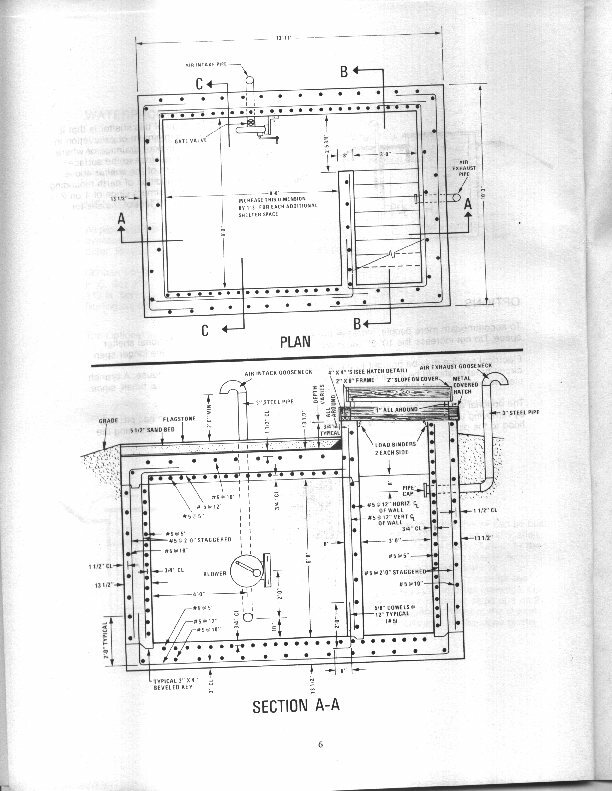 And here we have plans for your own home bunker and blast shelter. 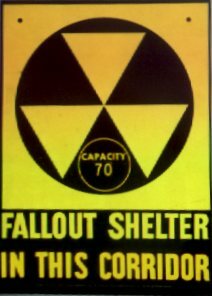 Thanks to Paul Roberts at the Caltech Seismo Lab for finding the Fallout Shelter sign, biscuits, and the Civil Defense brochures. 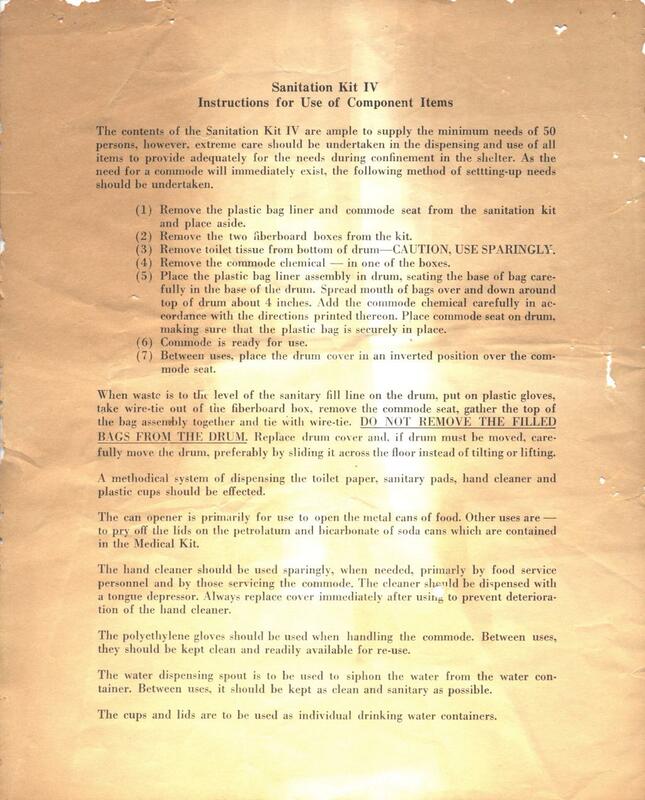 The SK-IV sanitation kit was found in a thrift store in Westminster, CA in 1983. 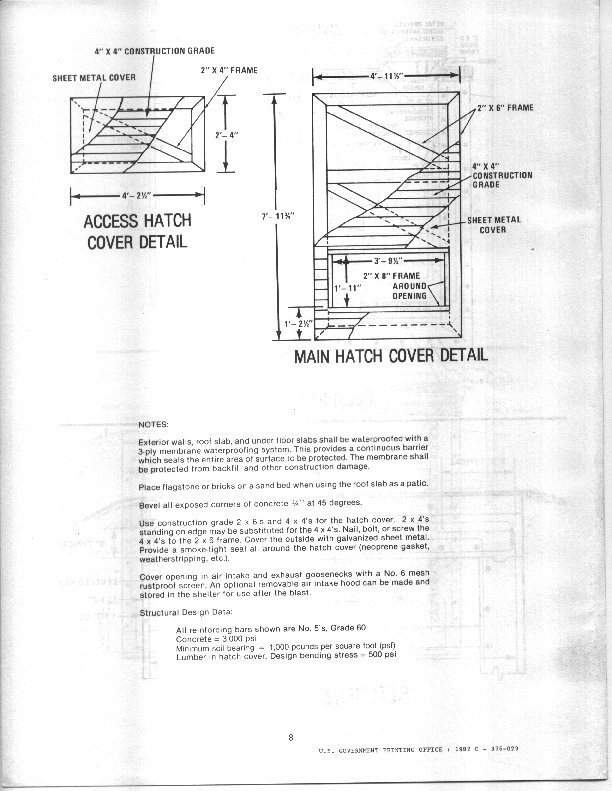 The ABM Project History and Kwajalein Field Station books came out of a trash bin at McDonnell Douglas in 1983.